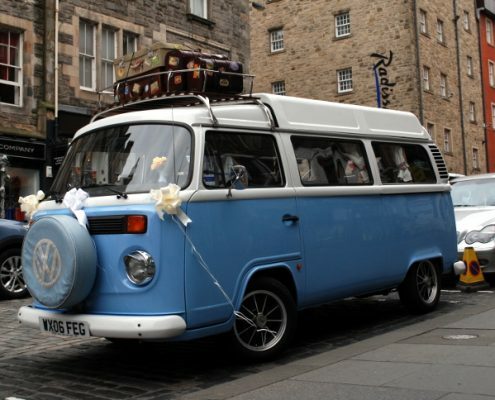 We are a VW classic campervan hire business operating across East Lothian, Edinburgh and Central Scotland. 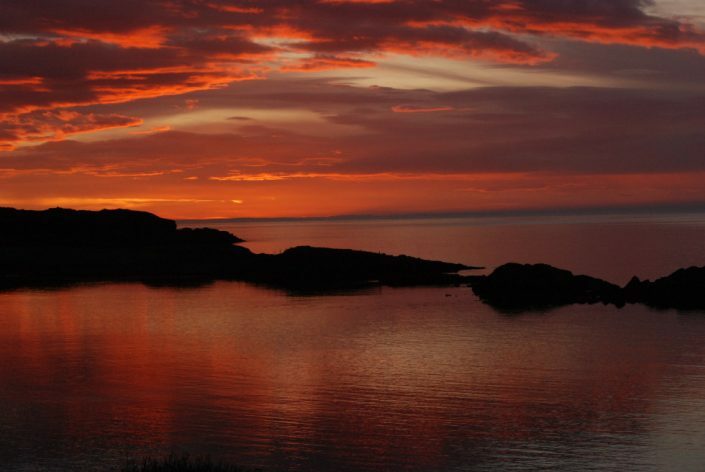 Located in the pretty little seaside town of North Berwick with convenient access from Edinburgh Airport and just a 30 minute train ride from Edinburgh Waverly Station. 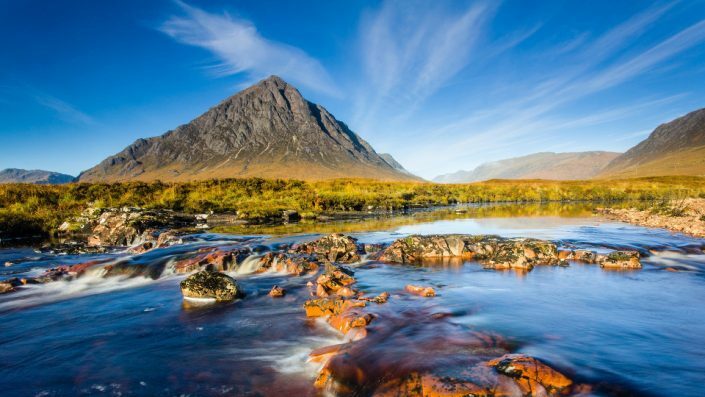 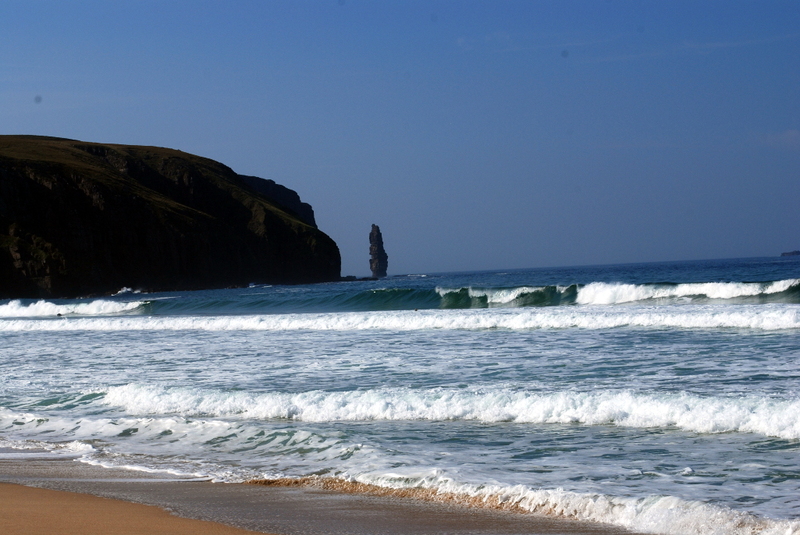 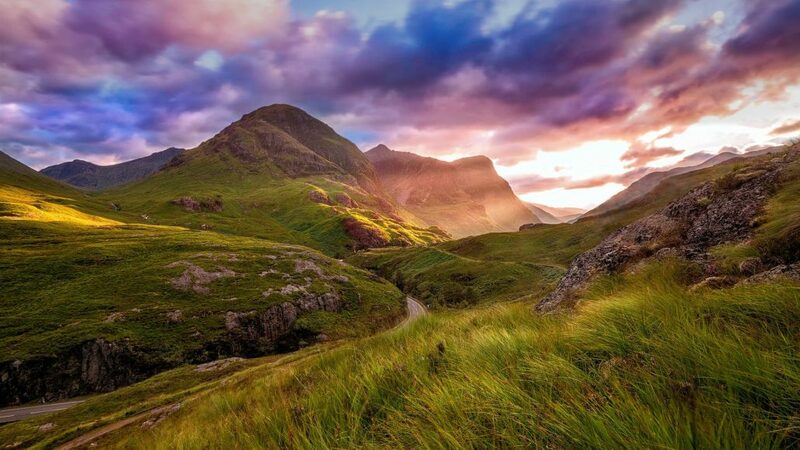 In addition we’re close to the main A1 North/South road link, Main East Coast Rail Line and therefore ideally located as your starting point to tour The Highlands and Islands, The Scottish Borders, Lake District or Northumberland. 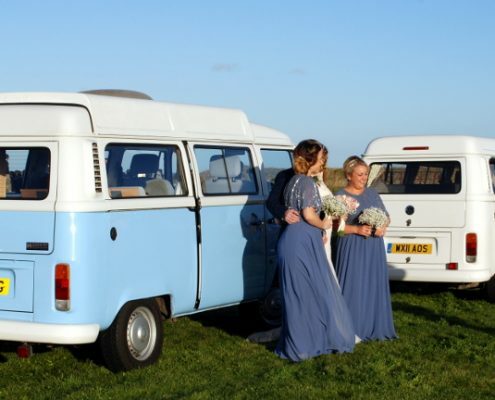 Our fabulous classic VW campervans capture that perfect retro feel whilst benefiting from extremely high quality restoration and fit out. 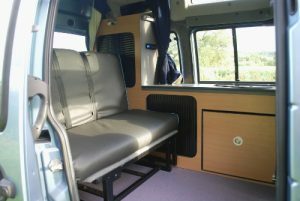 They are professionally maintained to a high standard which ensures reliability, safety and ease of use and of course they are prepared correctly for your trip which means that not only are they clean and fresh but also come equipped with everything you’ll need. 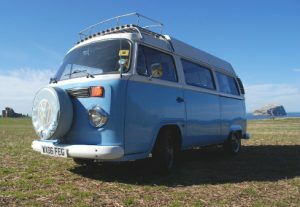 It’s true that a retro VW ‘bus’ isn’t suited to absolutely everybody but if you’ve arrived here at our site maybe you are the sort of person who would also notice the smiles and waves from other road users along with a more stylish mode of transport. 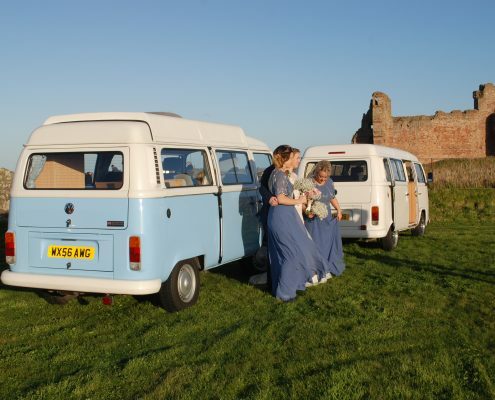 These beautiful classics tend to elicit a particular response from other road users and often we are told by our customers that they were made to feel a bit like a celebrity on their trip! 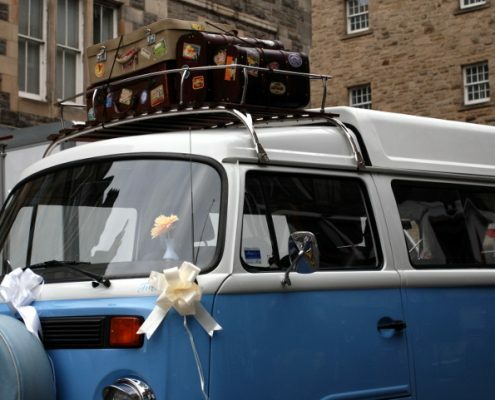 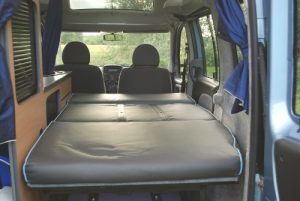 At Classic Campervans Scotland we strongly believe that it is only proper that the van should be ‘yours’ for your trip. 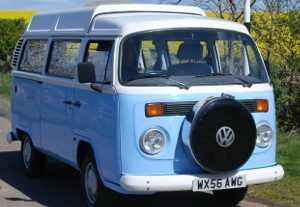 Therefor unlike most others we do not signwrite our vehicles at all. 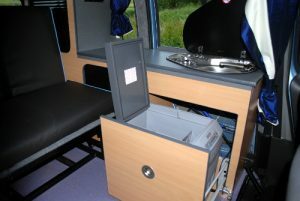 So, if you are thinking about a motor home holiday around Scotland and can see the appeal of this special means of transport why not have a look through our site and then contact us and we’ll let you know how to make it happen. 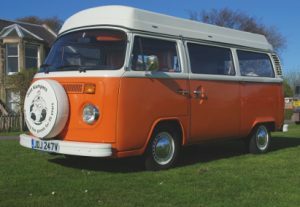 Gina (short for Orangina) is an original Type 2 born in Wolfsburg in 1979. 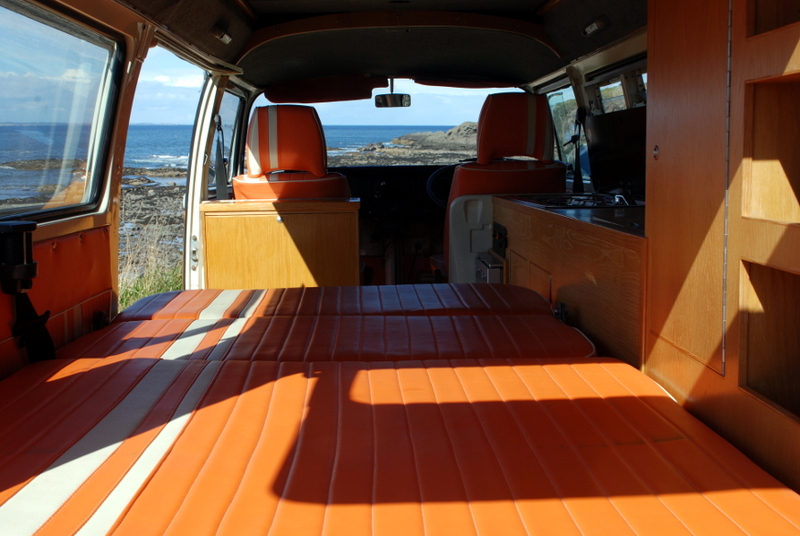 She has a beautiful full custom interior fit out to the very highest standards. 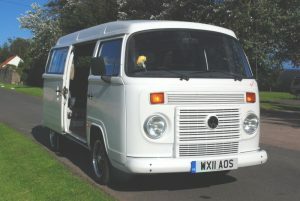 Tilly is a ‘new’- classic T2. 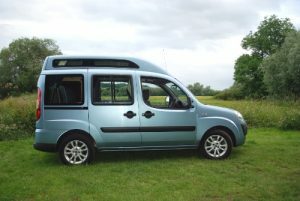 Born in Brazil and converted by Danbury Motor Caravans to the very highest specification.